The British Rail Class 101 diesel multiple units were built by Metro-Cammell at Washwood Heath in Birmingham, England from 1956 to 1959, following construction of a series of prototype units. This class proved to be one of the most successful and longest-lived of BR’s First Generation DMUs, second in longevity only to the Class 121, with the final five units being withdrawn on 24 December 2003. In 2000, the Class 101s were withdrawn from ScotRail. The oldest set was, by then, just over 47 years old. This Class 101 Diesel Multiple Unit (DMU) is formed of vehicles 51228 and 56062, the former being a Driving Motor Brake vehicle, whereas the latter is a Driving Trailer. 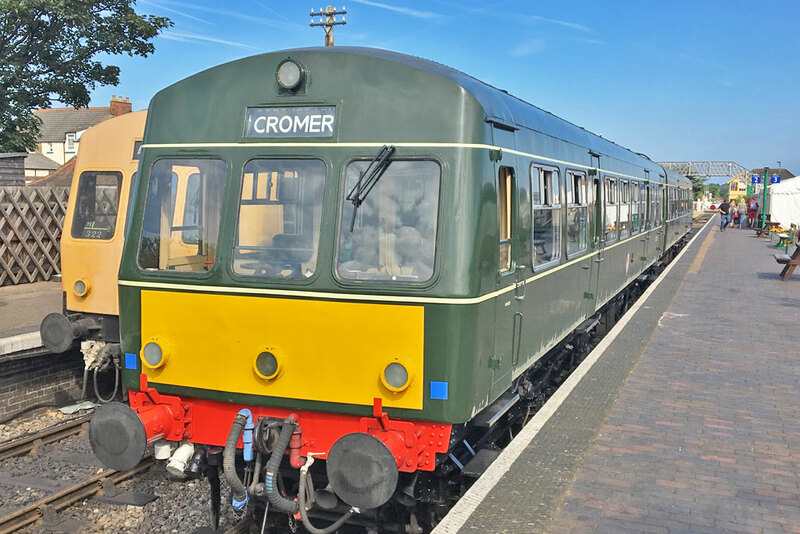 It has been restored to BR green livery, as carried when first introduced, the set is owned by the North Norfolk Railway.